Every business owner knows how important details can be – sometimes minuscule operational changes go far towards improving efficiency. However, when it comes to used vehicle Return on Investment (ROI), it can be difficult to stay ahead. A used vehicle involves multiple people and processes to get it on and off the lot efficiently, rapidly, and profitably; even the most experienced dealers can struggle with keeping operations smooth and simple. Keep an eye on the market days’ supply – Staying ahead of the supply and demand of specific cars within a market can take your used vehicle inventory to the next level of success. “Buyer Guarantees” with a stock that is highly desirable can do wonders to promote sales. You can keep up with this critical market data without causing a headache by using the Laser Appraiser Dealer Studio – this powerful automotive app does all the analyzing of used vehicle markets, including Market Days’ Supply for inventory (and prospective inventory) answering what cars will give you the best bang for your buck. Rule of thumb: your inventory’s average market days’ supply should be around 75, demonstrating a balance of very desirable cars with narrow margins and less desirable cars with wider margins. Have a good cost-to-market metric – Used cars sometimes need extra help before they land into the hands of their next owner; and for a dealership, sometimes tracking where all the money put into a car is difficult given all the hustle and bustle. In general, a successful dealer should aim for an 85% cost-to-market metric – that is, you should have made at least a 15% gross profit after selling your used vehicle. Keep track of this data in order to guide how you spend your money, and have a better understanding of a car’s gross profit potential. Look out for the price-to-market metric – With the help of Laser Appraiser and Dealer Studio, keeping track of price-to-market is simple. Compare the asking prices of your vehicles to other prices on the market, making sure that consumers turn their attention to your lot! If certain inventory is not turning fast enough, re-examine the price-to-market percentage, and make the appropriate asking price adjustments in order to get the sale. How “fresh” is your inventory? – You don’t want cars sitting at your dealership because they look pretty – you want them in and out as quickly as possible. It is said that if a dealership’s average used vehicle inventory is older than 30 days, there may be a problem managing cars that don’t sell right away. The goal should be to have at least half your cars sold within 30 days of arriving on the lot; you can then maximize profitability, and the amount of new inventory you can purchase for your consumers. Track how long the average car stays on your lot so that you can better understand what you need to focus on. Watch your discounts and deals – It is always good not to go overboard on discounting – after all, the ultimate goal is to have some money in your pocket at the end of the day. A good measurement is an average of $300 or less per discount. Make sure to track this number by individual salesperson – it’s good to know which salespersons can be exorbitant when it comes to offering deals. 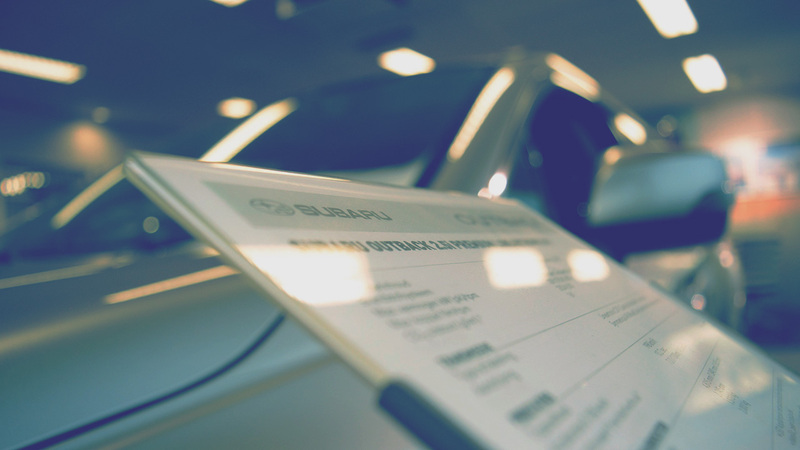 Managing a used car lot successfully requires management of different numbers, but if you gather the metrics and manage your dealership accordingly, you are one step closer to achieving peak performance and outmaneuvering the competition. Like a pebble creating ripples in a pond, watching these seemingly small details can make an astounding effect on your ROI (profitability), making it well worth the extra effort. Call 888-752-7372 to start a free Laser Appraiser Mobile or Dealer Studio demonstration today!